Building Badassery Boundaries and Other Stuff I Made For You! Hi there my sweet friend. I keep meaning to officially close this blog, because I so rarely write here these days. But you know what? I don’t want to. So what if it’s weird that I only post 3 times a year now? I can do what feels good. And keeping this space – one of my favorite places – open to new posts just feels good. 1. The Compassionate Badassery Collective: a FREE private Facebook group for people who take care of others (personally or professionally) and want some support around caregivers stress and self-care. DINOS families are welcome! In the group, I’ll be hosting self-care challenges, answering your questions in live streams, and facilitating peer conversations that can help you feel better, while you care for others. We’re just getting started (the group is only 9 days old), so it’s great time to get in there and meet a whole crew of really amazing people, just in time for…. 2. The Building Badassery Boundaries Challenge: it’s a FREE 5 day online challenge starting Monday June 18th designed to help people who care for animals (personally or professionally) to feel more confident about what boundaries are and how to create them, so that you can finally take care of yourself and enjoy life (without all the guilt!). Learn more and sign up here! I hope that I’ll get to see some of you in there, so we can reconnect and high five each other! Are You in Self-Destructive Savior Mode? For those of you who work or volunteer with animals, I wanted to let you know that the new session of Compassion in Balance, my 8 week online class, starts June 5th. If you’d like to learn how to build compassion resilience, manage your stress, and feel less exhausted and guilty and more at peace with your work, then this class can help. I know I’ve been out of touch for a while and I’m sorry this is the first thing I’m posting in months. The truth it, it was a long, brutal winter at my house. If you subscribe to my newsletter, you already know that my cat Gus and my dog Birdie both died just a few weeks apart from each other. I’m not ready to write about it in detail here, because Birdie was such a big part of this blog and telling you about losing her feels like another kind of ending that I’m just not ready for yet. One day. But what I learned these past few months, as I struggled with my own grief, is that the lessons and tools I share in my compassion fatigue class really work. I knew this before, but everything I teach I just had to test drive all over again this winter. I wish I hadn’t needed to do that, but the silver lining is that I can say with even more confidence that the class strategies can help you. I hate promoting my work. it always feels weird. But I hate that so many of you are suffering alone even more than I hate being uncomfortable, so I’m just going to make myself keep saying it: Compassion in Balance can help you manage compassion fatigue and reclaim the joy of working with animals. The class will give you the tools you need to do engage with this emotionally challenging work in a different way, so you don’t have to suffer so much. “What are our limits? How much more work, how many more causes can we realistically take on? How exhausted are we? What signals from our bodies are we denying? How much longer can we keep this up? Do we think we’re doing just fine playing the lone hero? And finally, why are we afraid to ask these questions? Do we feel that once we see the truth we’ll just run away or withdraw or abandon everything and everybody? Of course, seeing clearly who we are in this moment – our health, our motivation, the messages coming from our world – gives us the information we need to continue on. You don’t have to do this alone and you don’t have to hurt yourself to keep doing the work you care most about. Join me this summer and let’s explore these questions and solutions together, okay? Compassion in Balance, my online compassion fatigue course for people who work with animals, begins on June 6th, 2016! If you’re a dog walker, dog trainer, shelter pro, rescue volunteer, vet tech, ACO, or any combination of the above, I hope you’ll join us this summer as we tackle compassion fatigue in animal welfare work. You can learn how to better care of yourself, while you care for the world. Are you wondering what healthy boundaries are and how to create them at work and at home? Are you struggling to set limits on how much you give, so you can take time for yourself (without feeling guilty)? Do the challenges and sorrows of your work with animals leave you feeling isolated, angry, or helpless? Are you unsure if you have compassion fatigue, but want to find out? Could you use a few stress reduction practices to help you become less reactive? Are you so exhausted that you’re not sure what to do, but know you can’t keep going without making a change? And guess what? Heather didn’t even finish the whole class! She got that out of doing about half of the course modules. Pretty neat, huh? “Compassion in Balance is the first compassion fatigue class I really “got”. I have taken workshops and seminars about the topic before, but Jessica’s experience in animal welfare and her easy going, humorous writing style really helped me understand compassion fatigue and how to address it in my life. If that sounds good to you, then I hope you’ll give yourself this class as a gift. You really can make simple, yet powerful changes that will allow you to be well, while you do good work. And I’ll be there every week for 8 weeks, guiding the way. Compassion in Balance can be a game changer. You can read more about the class and what other students had to say about it over here. Ready to sign up? Here’s the link. I hope you’ll join us this summer – class starts in just a few weeks! New England: Compassion Fatigue Workshop This Weekend! Just a quick note to let you know that I’ll be in Wakefield, MA this Saturday, October 3rd giving a full day compassion fatigue workshop hosted by the New England Dog Training Club. This seminar, designed for people who work or volunteer with animals in any capacity, is open to the public and you can earn CEs! I’ve got all kinds of things planned for this weekend….interested? 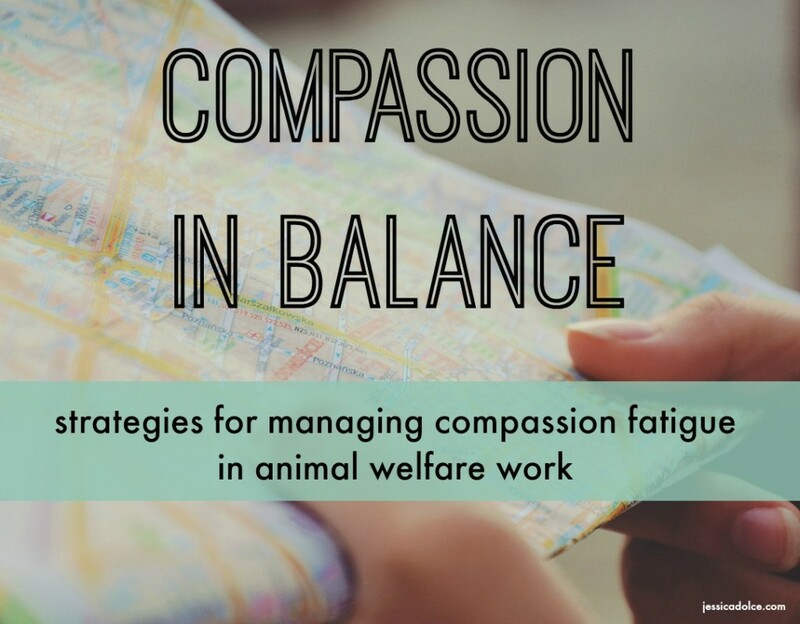 We’ll be covering six strategies and numerous tools we can use to transform and manage our experience of compassion fatigue, so that we can continue to do ethical, effective, and sustainable work with animals. The full day seminar identifies what compassion fatigue is, its symptoms, and contributing factors. We’ll also take a look at stress management and self-care practices. You’ll have the opportunity to participate in discussions, experiential activities, take self-assessments, reflect and connect with the positive aspects of your work, practice a stress-reduction technique or two, and create a self-care plan. We’ll be busy learning how to be well, while we do good! Spots are still available. Join us, won’t you? Please note: This seminar is not a substitution for professional mental health care. If you’re suffering from clinical depression or are having suicidal thoughts, please seek professional help. High five and hope to see you there! Compassion Fatigue: What You Need To Know! is a FREE webinar created especially for people who work or volunteer with animals. Join me live on Tuesday 9/15/15 at 7pm EST for a 40 minute whirlwind tour of compassion fatigue, followed by a 20 minute Q+A session. You’ll get to see my smiling mug via a video feed and you’ll be able to hear me through your computer’s speakers. During the Q+A portion of the webinar you can communicate with me by typing into the chat box. All you need to join is your computer and an internet connection. You can register here. Can’t make the live webinar? Register anyway and watch the recording when you have time! As you may already know, compassion fatigue is the natural consequence of stress resulting from caring for and helping traumatized or suffering people or animals. Almost all of us who work or volunteer with animals experience compassion fatigue at some point.But hardly anyone talks about it. So even though it’s a normal reaction to the stress of our work, we think we’re the only ones who are struggling. Those of you who have been reading my blogs for a while know that I was deeply impacted by compassion fatigue. I wrote about it here. I’ve created this introductory webinar – a very brief tour of a very big subject – to help people who work with animals get access to the basics of compassion fatigue: what it is, what the symptoms look like, and a quick tour of what we can do about it! And for those of you who already know about compassion fatigue and are ready to meet this occupational hazard head-on with the help of a supportive online community, my 8 week online class, Compassion in Balance, starts 9/28. You can learn more about this totally unique class, designed specifically for people who work or volunteer with animals, on my website. Ok, off to walk the dogs now (they don’t care about my webinars or classes at all, can you believe it?!). 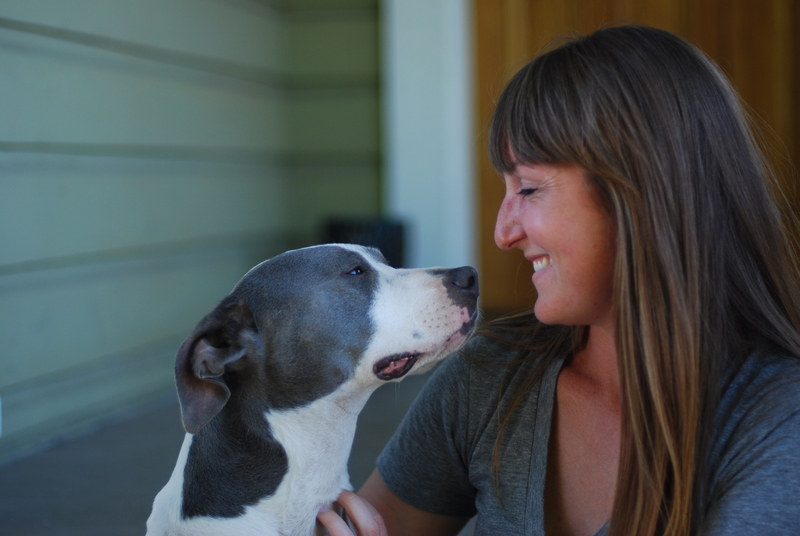 When I found about the The Difficult Pet Support Group created by fellow dog walker and pet sitter, Rachel Bow of Ruff Mutts, I couldn’t wait to learn more about this Portland, OR resource. Jessica: Can you start off by sharing a bit about the group? Rachel: Sure! The Difficult Pet Support Group is a monthly peer-to-peer support group for people loving and living with a difficult pet in Portland, OR. Enid Traisman, the Director of the DoveLewis Pet Loss Support Group and who’s been working in the field for over 25 years, facilitates the group with me. We’re also very lucky to have DoveLewis donate space each month for us to run the group. Dr. Christopher Pachel of the Animal Behavior Clinic was kind enough to give us free support and advice as we were getting the group off the ground. The group has a few goals. The first is to provide a safe, supportive space for people with difficult pets to vent and brainstorm about management techniques. The second is to make these people feel worthy of being a pet guardian. 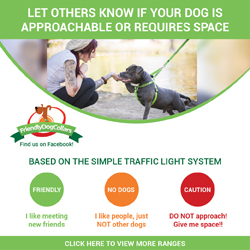 We’ve found just being around others who understand one’s plight is so helpful in not feeling alone and this makes people who fall in this demographic feel empowered in their relationship with their pet. All of this leads into our final goal, which is to strengthen the bond between people and their pets and therefore keep pets in their homes. We talk a lot about what our pets actually need to be healthy and happy versus imposed beliefs. It’s important for good guardians to feel like they are good guardians. I loved reading Uba’s story. Uba’s guardian has such a healthy perspective on Uba’s needs and while their lifestyle might not be conventional, it sounds like they are both very happy living their way. The group was started just from seeing there was a need. Ruff Mutts provides pet care for difficult pets and I’ve run into many guardians along the way who I felt would benefit from a group like this. I ran the idea past Enid who is also a client of mine and we got the ball rolling. Was there a special animal in your life – past or present – or a particular experience that inspired you to do this work? I had a pit-mix named Bowie who was particularly difficult when I was in my 20s. Bowie inspired Ruff Mutts and Ruff Mutts work inspired the group. Once I saw there were many people going through all the turmoil and emotions I had, I knew that the group was needed. I see a lot of parallels with your group and DINOS. For example, my intention with DINOS was never to be a dog training site, even though I sometimes share training resources. It’s always been about connecting people, so they feel less isolated, less frustrated, and more supported in what can be a really challenging experience. I often write that our dogs want us to be happy, because happy people keep their pets. That’s the shelter worker in me talking! So I’d love to hear from you: Why is it important to have a place where the owner’s emotions are the main focus? Yes! I see a lot of parallels between our ideas, too. I think guardians of difficult pets deserve a lot of support and praise for all the hard work, dedication, and compassion they exercise daily. There is a strange idea in the dog world right now that people with difficult dogs are absolutely-to-blame-no-matter-what for aggressive or bad behavior but often enough, that just isn’t the case. Everyone who has ever attended one of our meetings has worked with a trainer and often more than one trainer. These are very responsible and dedicated guardians who are sticking with their crazy beast through thick and thin – an admiral quality that we should condone, not condemn. I, too, want to keep pets in their homes and my belief is that people who feel they’re capable of providing a good home for their pet will feel good about keeping their pet even if their lifestyle looks a little different than what we think of as a normal life for a dog. I also believe that pets are happier when they’re with happy people. On another note, I don’t think there are enough resources out there for difficult dogs! The industry focuses so much on changing difficult dogs but what happens to these people and their pets if this isn’t possible? I totally believe in training, don’t get me wrong, but at a point, we need to see dogs as individuals, accept them for their faults, and manage them in a way that still allows them to be healthy and happy. Without compromising the confidentiality of the group, are you able to share any stories of how the group is having a positive affect on the pet owners who are attending? It seems that people are getting a lot from having other understanding, non-judgmental people really listen to their stories. People go through a range of emotions while we’re in session. There are tears often followed by laughter. It’s a ride for sure and people appreciate not having to be on it alone. Do you have any advice or tips for anyone that’s considered starting a similar support group in their area? Yes! Reach out to others in the community who might know people who would benefit from a group like this, such as dog trainers, pet care providers, doggie daycares, and veterinarians to get the word out. If you’re providing a community service, people will want you to succeed. People can contact me directly for more information about getting a group going and I’m happy to help. I’ve had the privilege of helping the awesome Kristin Buller get her group going in Chicago and Dr. Meredith Stepita of Veterinary Behavior Specialists get her group off the ground in the San Francisco bay area. What one’s thing you wish every owner of a “difficult” pet knew? I just wish that they knew in their heart that they are probably doing a great job! And if I could say one more thing about it, I’d say that they are definitely not alone. So true. Thank you for the work you do and for talking with us Rachel! Note from Jessica: Wishing there was more support in your area? I’ll continue to update the DINOS support group page, so if you know of a group that’s not listed there, please contact me. 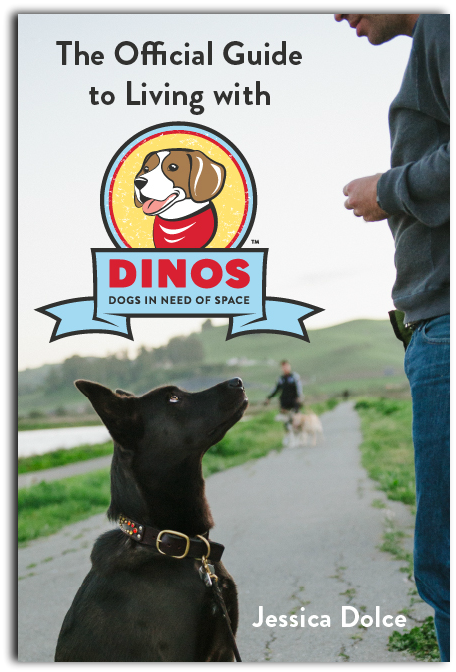 I also offer an online course for DINOS families focusing on reducing caregiver stress and helping you see to your dogs in a whole new light. You can learn more here. 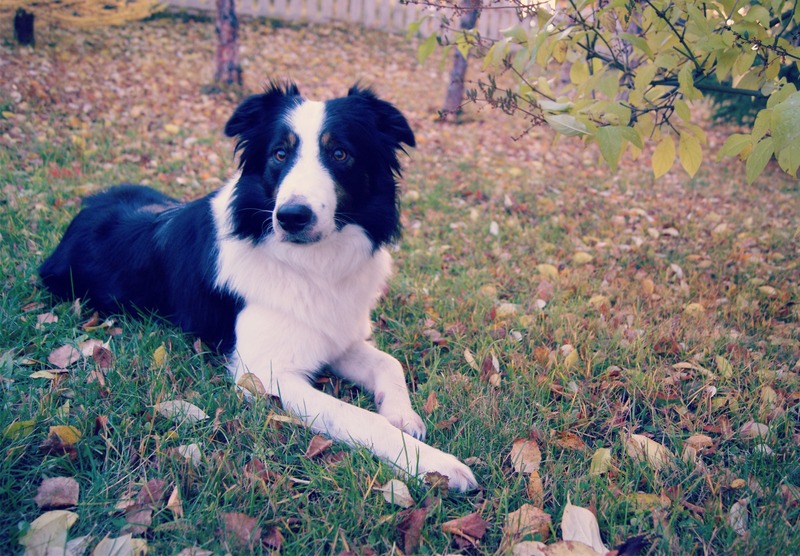 Want 1-on-1 support as you care for your dog? I offer coaching packages that you can check out here. Registration is Open for My New Compassion Fatigue Class! My class, Compassion in Balance, is now open for registration! I created Compassion in Balance, a unique six week online program, because I want animal care workers to have access to the tools and resources that will help them to be well, while they do good work. This is the class I wish I’d had, back when I was working at the animal shelter! Class kicks off on Monday, February 9th, 2015. And enrollment is now open! You can participate in the class wherever you are. You can do it at home, any time of day, and you don’t even need to get out of your pajamas to join in. The course is all online and accessible 24-7. You can read much more about CiB, including who this class is for, what we’ll cover each week, and my answers to your FAQs right here. To celebrate the launch of Compassion in Balance I’m offering the class for $99. The regular price for future sessions will be $149. So it’s more than 30% off right now. Holla! And, because I want to keep this class a safe, supportive environment, I’m limiting enrollment to just 30 students. Almost half of those spots are taken already! Want to be one of those 30 people? Visit this page to read more about the class, think about it, and then enroll. I don’t want you to rush into signing up for the class without really knowing what you’re getting into! As I explain on my site, the class is focused on building self-awareness and doing personal work that is reflective and honest. It can be emotionally challenging at times. So before you hit “yes, please!”, take five minutes to read my detailed class description over here and decide if it’s the right fit for you. “When I first started this course, I would rush through my 10-hour shifts in a tizzy, feeling like I couldn’t catch my breath and getting so wrapped up in the panic of “I have to do all of this right this minute!” that I’d completely lost sight of why I wanted to work at a shelter in the first place. I wasn’t connecting with the animals, I resented my coworkers, and I was just plain depleted and depressed. 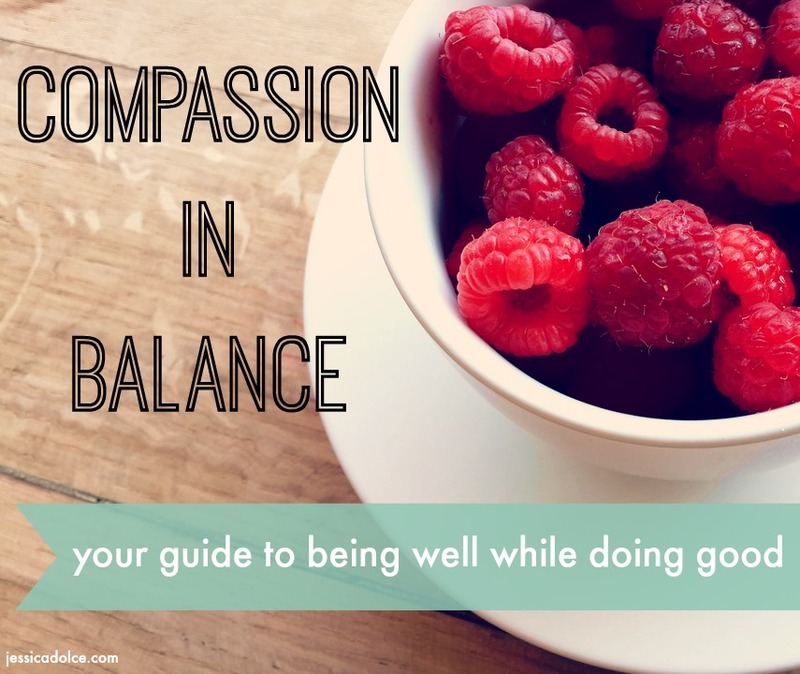 Compassion in Balance offers a fantastic step-by-step approach to help you figure out where you need to give yourself a little more love and support, how to exercise self-compassion on a daily basis (even when you really don’t want to), why self-care is so very crucial in the animal welfare world, and ways to integrate good self-care into your daily routine so that it becomes a habit. This made my heart burst when I read it because this is why I built the class. I want this for all of you. Ok, now go on and take a look at CiB to see if it’s right for you! Earlier this summer I met the coolest bunch of rescue and shelter workers at BAD Rap’s Rescue Jam. There were 70+ people at this unique weekend-long event and they were all stoked to get to work using the new tools, ideas, and connections picked up during their time in Oakland. I was there to give two presentations: one for DINOS and another on compassion fatigue. My compassion fatigue talk was a way to remind them, before they jumped back into work at home, that their most important tool – the one that is capable of making the biggest impact and doing the most good – is themselves. We are our most important tool and yet, we rarely take time to care for ourselves. As far as our Make-A-Difference-Toolbox goes, nothing trumps the tool of people when it comes to making things better for dogs and their peeps. But generally speaking, our field doesn’t spend a whole lot of time, energy, or resources addressing the needs of the people who dedicate themselves to the difficult work of making a difference for animals. So that’s why I’m hanging out in hot tents talking about compassion fatigue these days. At the Jam I shared strategies for managing compassion fatigue related stress. There are many, but setting boundaries is an important one. In fact, it’s critical. Setting boundaries and taking care of ourselves allows us to engage in sustainable, effective, and ethical work. I wasn’t the only one talking about setting healthy boundaries at the Jam. It’s such an significant topic that many of the other speakers touched on the importance taking care of ourselves and setting limits too. It’s the only way to stay in the game long term and do good work. 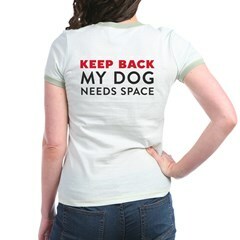 Ironically, I had “I heart boundaries” t-shirts made for DINOS a few years ago because I want people to respect the personal space of dogs. Turns out this tee is made for compassion fatigue work and was a big hit at the Jam. So this brings me to my announcement: I’ve got a whole new website and new blog! Just in case you’re wondering, Notes From a Dog Walker and DINOS aren’t going anywhere! I just needed a separate space for all my compassion fatigue offerings, which are aimed at helping animal care workers, to live. 1. No one talked to me about compassion fatigue, stress, or self-care while I was working at the shelter. When I had trouble dealing with the work, I thought I was crazy and weak. Now I know I was having a normal reaction to the stress of constantly providing care for people and animals in need and that there are things I could have done to help myself. 2. Our industry has a very high turnover rate. When we invest in training an employee, only to lose them to stress and trauma (the pay isn’t anything to write home about either), we lose their knowledge and skills too. If we want to make progress, we need people to stick around long enough to make a difference. 3. I respect the hell out of animal care workers: animal control officers, shelter workers, foster families, vet techs. If they’re working hard at making things better for animals and their people, then they’re my heroes. I want to do what I can to support them. This is a way for me to give to others what I wish I had had for myself. I believe that compassion fatigue education and self-care practices need to be made a priority in our field. We can’t do effective, ethical work if we’re depleted, stressed, traumatized, and burned out. We need to be well to do good. The class will be a way for anyone who works with animals to easily access the resources they need to better understand and manage compassion fatigue. It’s going to be a safe online community where we can support each other each week, as we build our self-care toolbox and practice new strategies for being well, while we’re doing good. No one else is offering anything quite like it. I’m finishing up the class design now and will be beta testing it this fall on a group of animal welfare bad asses. We’re gonna let them deal with all the first-run kinks. The class should be ready to launch this winter. My goal is to get the class running for animal care workers and then later offer a modified version for people who own dogs with serious behavior or medical issues. Those of you who live with dogs like this may be suffering from compassion fatigue and you bet I want to support you too! Sign up for my brand new e-letter! Starting in September I’ll be sending out a monthly(ish) e-letter with news and notes on what’s shaking in relation to compassion fatigue and self care, plus highlights from DINOS and Notes From a Dog Walker too. It’s the best way for me to stay in touch about everything I’m working on, share the resources I think you guys will find helpful, and offer you special deals when the classes are ready to launch. So that’s what I’ve been up to this summer and what I’ll be buried in this fall! I’m so excited to offer this to you guys – nothing makes me happier than connecting you all to life-changing resources that will support and empower you in your important work with animals. Boundaries are the new black y’all. Historical dog breed photos. Some breeds have undergone some changes (and not for the better). What she said. People with Service Dogs: this one’s for you. It takes a village (or at least a few trusted friends) to raise a reactive dog. This man’s tutu is powerful medicine. The Mayors of New York: If you’ve ever lived in a big city, you know a few “mayors” too. If you only click on one link, please make it this one. Are you watching Bob’s Burgers? It’s my laugh-therapy. Here’s why you shouldn’t fight old people. I’m reading a collection of stories by Dorothy Parker and The Compassion Fatigue Workbook by Francois Mathieu. How about you? Calling Team Future Us: It’s Time! Hello Team Future Us! Did you get your message from Past You yet? I just did. For those of you who participated, how did it feel to get an encouraging message from yourself? Did you totally forgot that you wrote that note? If you remembered that you wrote the email, was the content of your message still a surprise? I forgot what I wrote back in September, so it was really fun to read my message today. But hearing from Past Me is a little spooky too, because I only partially recognize myself in these emails. During a typical day, I’m more likely to hear from that panicky, weepy kid that spins in circles (you met that kid here). But in these Future Me messages I get to hear from a different internal voice that I’m not as familiar with. She’s way more encouraging and almost unrecognizably calm. I imagine that while weepy kid is on the floor in the fetal position, this gal is peacefully sitting at a sunny kitchen table, drinking herbal tea, and petting my cat. She doesn’t own any clothing with zippers. It was nice to visit with her for a minute today. Just recently I learned that we spend 47% of our lives lost in our thoughts. Half our lives! We’re always a little here, a little bit someplace else. We’re lost in conversations with all the wackadoos that live in our heads and make a living spewing a non-stop stream of commentary at us. Some days my mind sounds like these two. It could be worse. 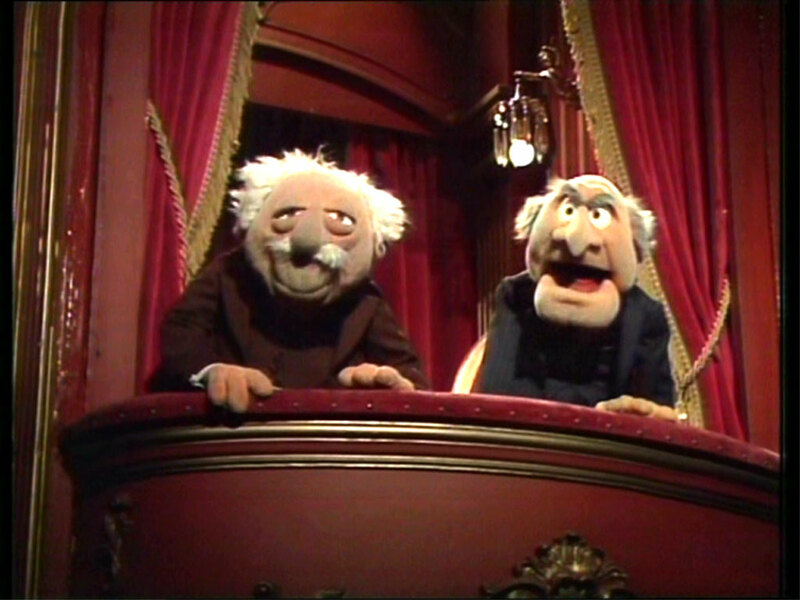 That peanut gallery in our heads is loud. It can be hard to tune in to the present moment. In can be hard to take time out to notice all the things were grateful for in our everyday lives. It can be hard to grab that one positive thought out of a sea of negatives. Research shows that we need a ratio of five positive comments or events to outweigh a single negative one. Considering all the negative stuff we’re chewing on in our minds, we can stack the deck in our favor by contributing to the positive feedback for ourselves. We don’t have to wait for anyone else to do it. So I hope that all of you got to visit with a different side of yourselves today, through that note. That instead of just hearing the din of all the anxious or angry or critical voices that we all spend so much time listening to or trying to tune out, that you got to hear something positive and encouraging instead. There is value in purposefully taking time out to care for ourselves through simple acts of self compassion. Maybe writing these notes is one way to do that. And if your note didn’t do much of anything for you, then let me be the one to say: You’re doing awesome. Tell me about your experience with Future Me in the comments: good, bad, funny? Will you try it again? The Flirt Pole: Dog Toy or Life Changer? © Jessica Dolce and Notes from a Dog Walker, 2011-2019. Unauthorized use and/or duplication of this material without express and written permission from this blog’s author and/or owner is strictly prohibited (except pdf handouts). Excerpts and links may be used, provided that full and clear credit is given to Jessica Dolce and Notes from a Dog Walker with appropriate and specific direction to the original content.